August 24, 2015 – i-App Creation has release Pastel Keyboard update version 1.6.0 with new features and 3 new keyboard themes pack. With update version 1.6.0, Pastel Keyboard comes with Pastel BuddyBar, featuring with word auto-correct, emoji suggestion and 100+ premium fonts. Moreover, this update version also comes with 3 new keyboard themes pack including Pastel Pajamas ($1.99), Polka Dot ($1.99) and Pastel Hero (Free). 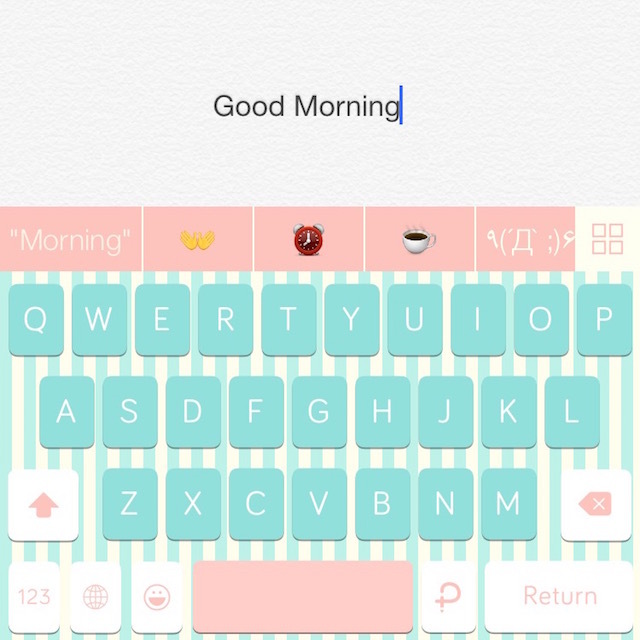 For those who already downloaded Pastel Keyboard can check out these new themes at Pastel Store. Pastel Keyboard version 1.6.0 is now available on the Apple App Store.